UNIT 1601. OPEN 5/5-12 ONLY $1802 TOTAL! BOOK ONLINE AND SAVE! 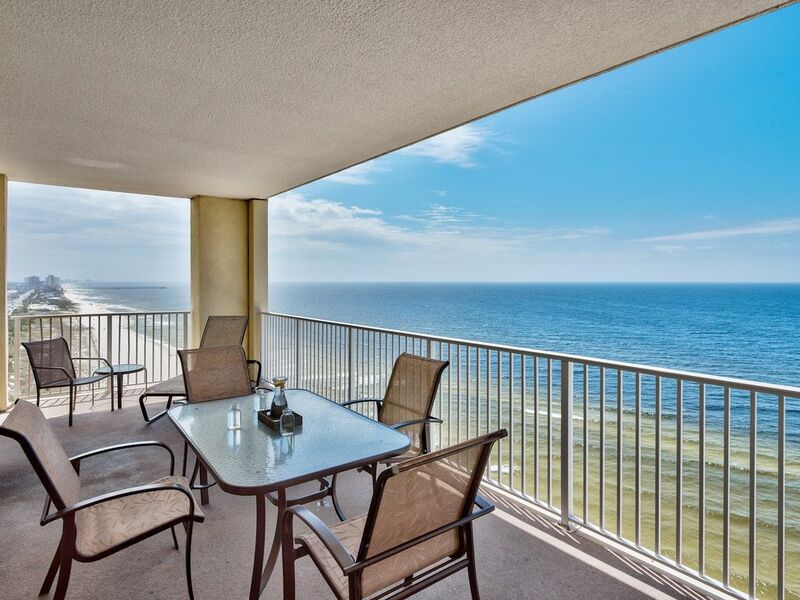 We picked Ocean Reef 1601 because it offers us a conveniently located yet quiet beachfront location in resort building that is designed to be convenient for guests with some nice amenities. We think you’ll agree that Ocean Reef 1601 can be your beach home away from home, where you and your family to enjoy a truly memorable beach vacation. If you want to make sure your family has the beach vacation you all deserve, give our rental manager a call or an email as soon as you can. Ocean Reef offers you everything you need for a wonderful family vacation experience! Great place to stay! Very clean place and very large. Great time spent for all of us Arkansas alumni. Thanks for having us! When we arrived we were informed that there are no luggage carts provided and we were allowed 1 car per unit in the reserved parking deck for 10 people. The pool has been closed most of our stay and the bathrooms are very dirty. There is not a sufficient amount of cookware in the unit. Not all eyes on the stove work. Beds are very uncomfortable. As the owner of a cleaning company, I am appalled at the amount of dust, dirty ceiling fans, dirty toilets and unmopped floors and I have cleaned vent returns due to dust blowing. Definitely a poor stay on our favorite beach! The condo is beautiful and way bigger than the pictures show. We had plenty of room for 10. Parking wasn't an issue, although I was afraid it would be since it was spring break. We also happened to have 2 handicap people with us, so we were able to use the handicap spots. The other parking lot is across the street and supposedly there is extra parking behind the Wyndham according to a sign in the elevator. We rented through Best Beach Getaways and didn't have any problems with them. We even had to call them for an issue, and they had someone out within an hour. I do wish their cleaning team had cleaned the floors better and left a broom and mop behind so we could continue to clean during the week. You drag in a lot of sand when on the beach and frequent sweepings are necessary. Both pools were nice and the hot tub was enjoyable and large. Beach is nice, although there is a drain there. Several drains along the beach. I would recommend not swimming in the run off. The complex is across the street from an arcade, even though it wasn't super fancy or updated, it was entertaining and we had a blast. They also sell food there and ice cream. Also across the street is a putt putt golf and go cart track. The go carts were a blast :). Within walking distance is souvenir shops, restaurants and a convenience store. I loved this unit. We had a couple of rainy days so we were off the beach more than we usually are and spent more time in the unit. It was large and laid out perfectly for my family. Very clean and well maintained. Another successful family trip in the books. Thanks for the memories! Two families totaling 10 (ranging from 3 - 54) stayed in this unit and we had plenty of room. We did not have to call for anything while there. We enjoyed our stay in the unit itself and the only issue we had were the floors were dirty when we arrived, but we mopped the floors first and then we enjoyed the unit for the rest of the week. We were a little concerned renting this unit since there were not any reviews showing so we wanted to give our opinion. With 10 staying in this unit we were in 2 vehicles and we only had one space reserved in the parking garage and the other vehicle had to park across the street in a first come - first serve lot that has about 35 parking spaces. The garage is very tight and only allows vehicles under 7 feet. Our SUV had a carrier on top so we were a little over 8 feet high so we had to park across the street and we had the 3 year old with us, so had to be very careful going back and forth across the busy Front Beach Road. The unit itself we would come back to but the parking situation will cause us to hesitate coming back next year.